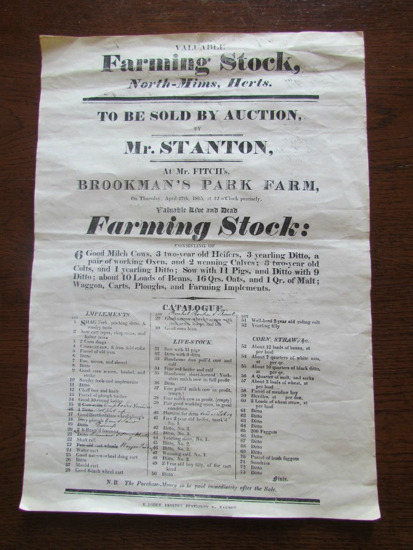 An auction poster for the sale of "Valuable Farming Stock" at Mr. Fitch's Brookman's (sic) Park Farm in North-Mims (which is what the parish was called at the time), Hertfordshire on April 27, 1815. There are two more pages, not uploaded, which show the handwritten transactions following the auction. The poster and auction sheet were lent to to the site by a local resident. 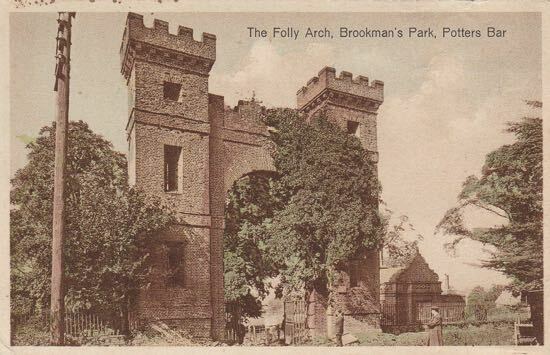 Click on the image to reveal a larger version.